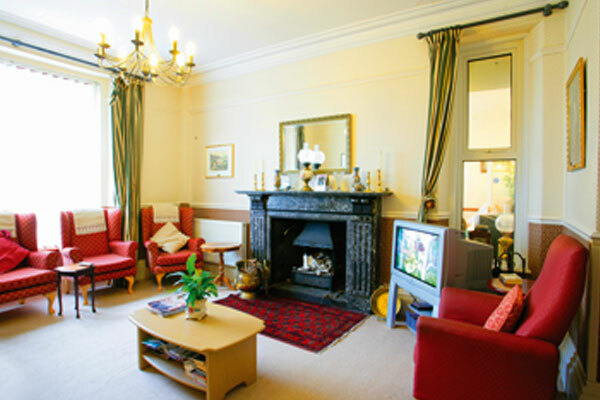 Plas Garnedd is a registered residential home for the elderly in the heart of the village of Llanfairpwll in Anglesey. It is situated in an acre of mature landscaped gardens with spectacular views over the Menai Strait towards the mountains of Snowdonia. It is within walking distance to all local amenities and only five minutes drive from Ysbyty Gwynedd and the mainland. Plas Garnedd was registered with Gwynedd and Anglesey Social Services in 1982 and it offers comfortable accommodation for 29 residents. It contains 28 bedrooms, 27 singles and one double room. All rooms are fully en suite and each room is tastefully and individually designed and furnished to a high standard to create a homely atmosphere. Residents may choose, if they wish, to furnish their own rooms. The building has been designed with ramps and spacious corridors and has three large lounges, a separate dining room and sun lounge to ensure privacy for the clients, their families and their visitors. All meals are cooked on the premises using fresh local produce whenever possible. There is a wide range of menus available to suit every taste. Special diets can be catered for as required. Plas Garnedd actively provides regular contact and liaison between the local community which includes frequent visits by children from the local primary school. 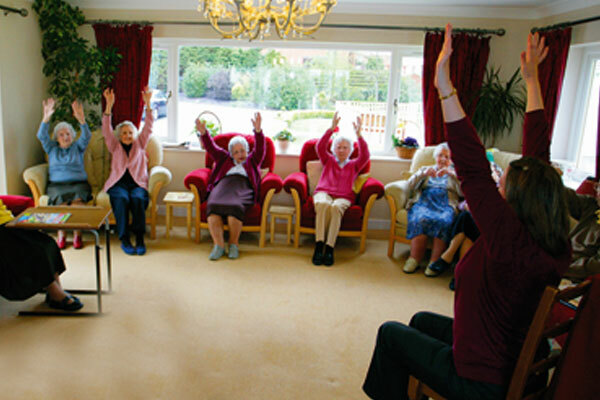 Other activities include in house entertainment as well as visits to local places of interest and local events. Our aim, through using a holistic approach to care, is to provide individual care to each client. This is achieved by providing a safe, secure and pleasant environment for clients in which life can be lived to the full, where privacy, dignity, choice, fulfilment and individuality can be maintained.